Send a growing plant - such a thoughtful and long-lasting gift. Living plants are perfect for birthdays, sympathy gifts, or to celebrate a new home. 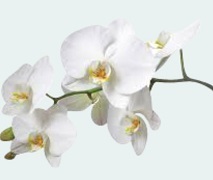 Plant Gifts from Phalaenopsis Orchid plants, Peace Lillies, Anthuriums, cute and colourful Kalanchoe plants, Cyclamen and at Christmas time lovely red Poinsettia Plants are in Season.